Already a certified diver? If you want to increase your skills and have fun while you do it, join us for the Advanced Open Water course. 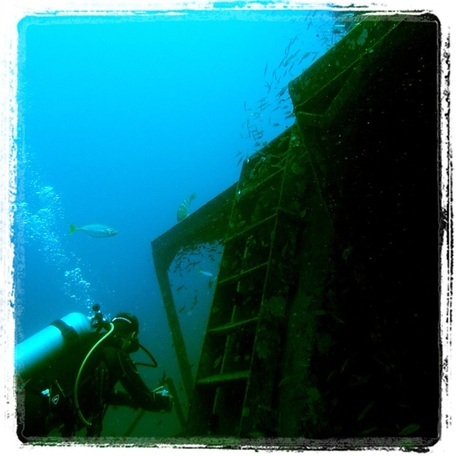 We highly recommend this course for all divers, whether you're fresh out of your Open Water certification, or if you've got some fun dives under your belt. 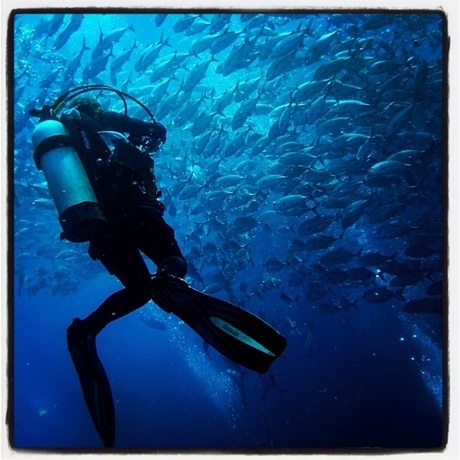 When you're ready to take this PADI course, Koh Tao is the ideal location, as our variety of dive sites give you the opportunity to advance your skills as you explore the underwater world while diving Koh Tao's best dive sites. Over 2 days and 5 dives, you'll get certified to dive to 30m, learn underwater navigation, and experience your choice of three additional adventure dives (see options below). The cost for this course is 10,000B, which includes all equipment, manual and PADI certification fee. We can also include 2 nights of accommodation at nearby Tropicana resort, the cost is 10,000B/person + 400B per night, per room. View room options. With our small group sizes, expert instruction, and top quality equipment, Ocean Sound Dive & Yoga is the perfect place to take your diving to the next level. If you'd like to reserve your spot to dive with us, please book online below or send us an email with your requested course(s) and dates. If you prefer to chat in person, email us with your ferry arrival information and we will arrange a free taxi pick up to bring you from the pier to our dive school to discuss the course and show you around. No commitment or deposit necessary, but please note you must arrive the day before your desired start date to give us time to organize everything for you! Pickups are available from 8:45am-4pm, and must be arranged at least 1 day in advance, prior to 5pm, please! Recent dive experience, within 1 year. If it has been over one year since your last dive, please allow an extra day for a Scuba Review. The SCUBA review includes 2 dives, giving you the opportunity to refresh your Open Water skills while getting to experience the beauty of the underwater world in the waters of Koh Tao. The cost is 3000B. This is a booking deposit, which will be deducted from your total balance on arrival. The PADI Advanced course includes two mandatory dives: a deep dive, which certifies you to a maximum depth of 30m, and a navigation dive (an introduction to navigational techniques to help you find your way underwater). The rest of the course is your choice of 3 of the following dives. Options are sometimes dependent on the dive schedule. See the HTMS Sattakut 742 on your Advanced course. Video produced by Oceans Below.